Suzhou Su Baokang Labor Protection Supplies Co., Ltd. Brand MHR fancy customized S3 SRC HRO action nubuck leather construction safety shoes bangladesh Product Name leather heavy duty construction safety shoes,action nubuck leather safety shoes,safety shoes bangladesh Item No. S003 Upper: Cow split emboss leather Lining Vamp: Vamp Lining Quarter: BK Mesh Tongue: Artificail leather Collar: Artificail leather Buckle: 1 buckle Lace: Black round shoe lace Insock: EVA coated mesh Outsole: PU/PU, soft midesole + high hardness outsole Size: EUR 37- EUR 47 Hot-sale products Packaging & Shipping 1pair/color box, 10pairs/carton. Weight: Around 1.50kg Box Size: (37-41) 33cm X 30cm X 11.5cm, (42-47) 35cm X 32cm X 12.5cm; Carton Size: (37-41) 59 cm X 31cm X 34 cm, (42-47) 65cm X 33cm X 36cm; QTY of 20FT: 2100pairs QTY of 40HQ: 5200pairs Memo: The above contect is for reference, different customers have different requirement. Gaomi Long Fei Shoes Co., Ltd.
Zhejiang Zhongmai Safety Technology Co., Ltd.
Zhejiang Leima Shoes Ind. Co., Ltd.
Fujian Shengqing Footwear Industry Co., Ltd.
Shandong Sinorient Shoes Co., Ltd. Question 3: Can you do OEM9 ---------Yes, we can do OEM for all the customers. Question 4: How can i get free samples9 ---------We are appreciated that new customers pay for the express fee for samples and it will be deducted once orders are placed. Question 5: What is the quality guarantee time9 ---------All our products are offered 6 months quality guarantee after shipping. Changzhou Funta Intelligent Technology Co., Ltd. Mid heeled winter protection action leather safety shoes Red writing is the specification for this model. Safty Equipments from Dongsheng Company: Our company was established in 2002, which is a professional manufacturer and exporter in labor protection supplies. We are one of the top ten network businesses in 2008, The Member of China Labor Protection Association in 2008, The Member of Chongqing Labor Protection Institute. Shenzhen Fuyue Technology Co., Ltd.
2. Question: How can I get shoe samples 9 ----- Please choose right models, and send your requirements to our Sales Team. You only need to send us your logo design, and our designer will help to design your labels professionally. P lease contact us online directly , we can discuss further i f you have any other different payment ways . Shanghai Yansheng Shoes Co., Ltd.
action embossed leather 3. Lining. 500 Pairs per model 8. Warranty. 6 month after shipping 9. Delivery. We have our own cooperated freight agent and we will also offer you all the document when you clear the customs. 6. Question: What is the quality guarantee time9 -----All our products are offered 6 months quality gu a rantee after shipping. If the shoes are broken within 6 month, please contact us, and we will compensate u new shoes without any payment. Red breathable mesh Action safety shoes for workers Upper Genuine Leather Outsole PU Lining Quality canberra Features Steel toe cap and steel plate midsole ,Meets EN20345 SB, S1 and S1P,S2,S3 standards, Oil, acid, Slip and anti-static resistant Size EU38-47 Packing 1 pair in one color box ,10pairs per carton QTY 20' FCL: 3,288prs 40' FCL: 6,710prs 40' HQ: 8,000prs Payment Term T/T, Western Union or Money Gram Function&Feature of Best brand safety shoes 1. 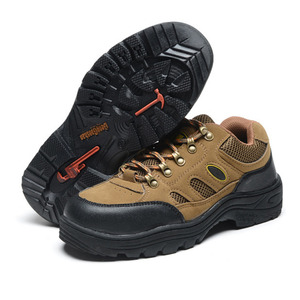 Anti-squashy, Anti-puncture, Anti-static, Anti-slip, Shock resistant, Abrasion resistant and Oil resistant 2. Standard:complyied with SB,SBP,S1,S1P under the EN20345 standard 3. SB : Anti squashy 4. SBP: Anti squashy&Antipuncture 5. S1: SBP+ steel toe 6. S1P: S1+ steel midsole Please contact us to get more information about our safety shoes! 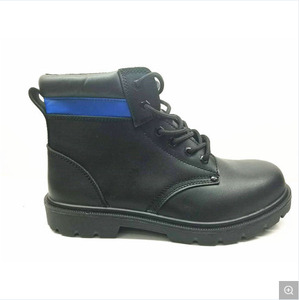 Gaomi City Shenma Footwear Co., Ltd.
Alibaba.com offers 4,034 action leather shoes products. About 45% of these are safety shoes, 2% are men's casual shoes, and 1% are synthetic leather. 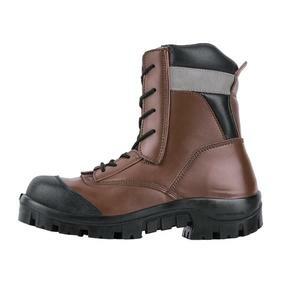 A wide variety of action leather shoes options are available to you, such as unisex, men, and women. You can also choose from pu, rubber, and pvc. As well as from steel toe, anti-static, and insulative. And whether action leather shoes is free samples, or paid samples. 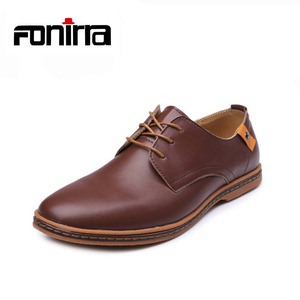 There are 4,053 action leather shoes suppliers, mainly located in Asia. The top supplying countries are China (Mainland), Pakistan, and Japan, which supply 91%, 2%, and 1% of action leather shoes respectively. 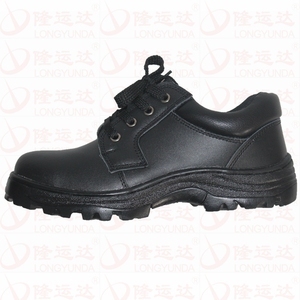 Action leather shoes products are most popular in North America, Western Europe, and Southern Europe. You can ensure product safety by selecting from certified suppliers, including 724 with ISO9001, 382 with Other, and 127 with ISO22000 certification.